We all know how stressful it can be to find a dental practice, local dentist, dental surgeon or any type of dental professional especially when you have an emergency relating to your teeth. 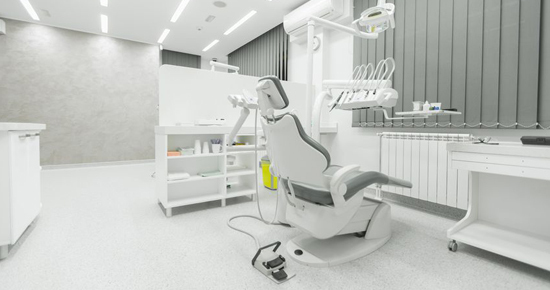 The good news is there are many professional dental practices and private dentists based around the UK, so whether you are looking for a dental hygienist, pediatric dentist, oral surgeon or dental technician they are never too far away. It is becoming increasingly important for people to look after themselves and having healthy teeth is no exception in this day and age. Our lifestyles have changed over the years and with that so have our diets and the things we subject our bodies and minds to. Maintaining healthy teeth and regular visits to your local dental practice can avoid serious problems and future unpleasantries such as gum disease, rotten teeth and bad breathe. If you are looking for a dental surgery, dental clinic or dentists in Ilford (Essex), Linda Schaller and her team of professional dental nurses operate from Clayhall Dental Care (Dental Practice) based in Iford in Essex (137 Clayhall Avenue, Ilford, Essex, IG5 0PN). The dental practice is easily accessible by public transport and you can reach there by bus when catching the number 128, which stops right outside the door. However if you are travelling by tube you can take the central line to either Redbrige or Gants Hill and it is then a short walk from the station. Not only does the dental practice cater for those who require appointments during the day but Linda and her team of dental nurses also make themselves available in the evenings too. Appointments are available up until 9pm for evening surgery and they are now open late every Wednesday night to cater for patients who are not available during the day. The cost of any procedure is always supplied in advance. Good value is extremely important and the charges reflect this. Treatment can be paid for in stages and external dental plans are accepted. Financial options can be discussed to help spread the costs and for more information on this you can email finance@lindaschaller.co.uk. Please feel free to call today on 0208 550 8884 to discuss any questions you may have regarding the products and services offered at Linda’s dental clinic. If you would prefer to email, then please send your message to info@lindaschaller.co.uk and one of the team will respond accordingly.